If you chose to install demo data during your CS-Cart installation, you may want to delete it after you’ve set up your store with your own products. Because there’s no way to delete all the demo data at once, you’ll need to delete each type of data separately. For example, first delete the demo products, then delete the demo orders, and so on. The steps to delete each type of data are similar. 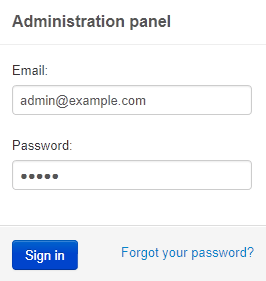 To begin deleting demo data, sign in to your CS-Cart administration panel. 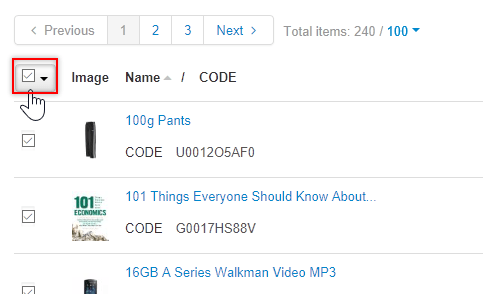 Delete demo categories, which also deletes the products in the categories. Delete the demo products individually. 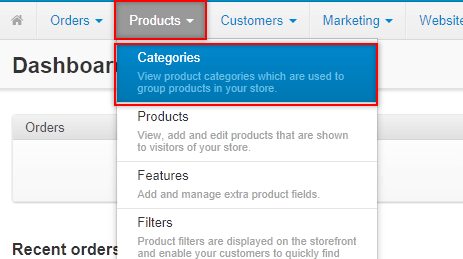 Use this option to delete demo product categories and all the products included in the categories. Go to Products → Categories. 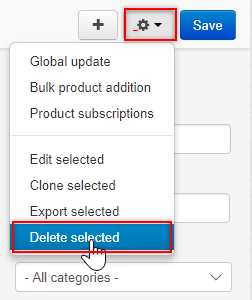 Select each demo category you want to delete and then click the gear icon → Delete selected. 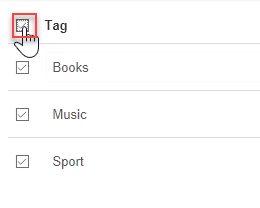 Deleting a category also deletes any subcategories and products in the subcategories. 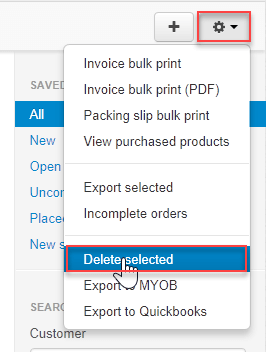 Use this option to delete individual demo products. Note that this option doesn’t delete the demo product categories, so if you want to delete the demo categories, use Option 1. 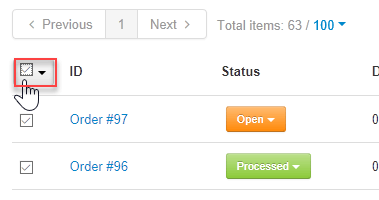 Select the Total items drop-down and change the number to 100. Select the check box at the far left of the header row to automatically select every product displayed on the page. If you want to delete only some products, select their check boxes individually. Click the gear icon → Delete selected. If you have more than 100 demo products to delete, repeat the steps beginning with checking the ‘select all’ product check box. Go to Orders → View orders. 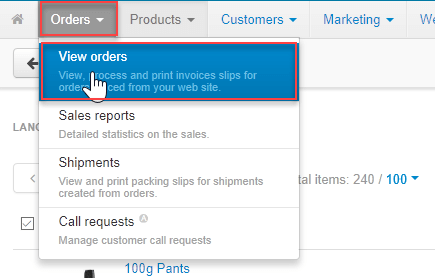 Select the check box on the left side of the header row to automatically select every order displayed on the page. Go to Products → Filters. 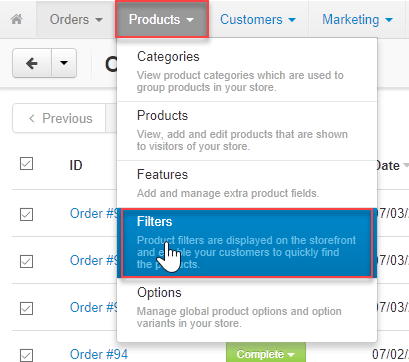 For each demo product filter, click the gear icon and select Delete. Go to Marketing → Promotions. Select the check box on the left side of the header row to automatically select every promotion displayed on the page. 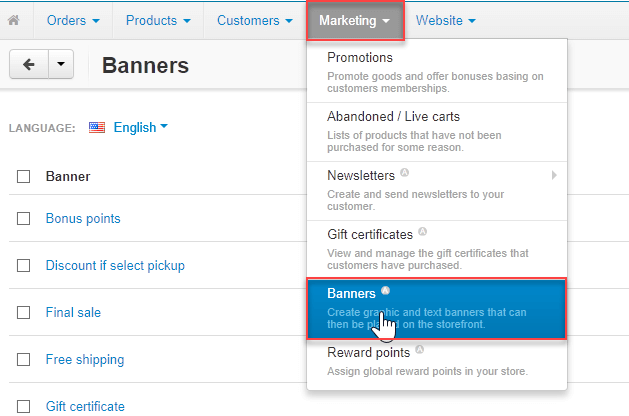 Go to Marketing → Banners. 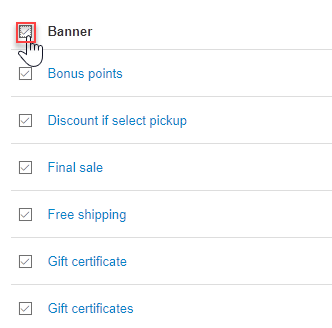 Select the check box on the left side of the header row to automatically select every banner displayed on the page. Go to Website → Blog. 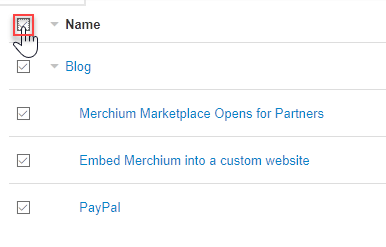 Select the check box on the left side of the header row to automatically select every blog post displayed on the page. Go to Website → Tags. You’re done! The demo data is now deleted from your store. If you have any questions about this or any CS-Cart topic, please contact us by opening a support ticket. Details about how to open a support ticket are here.